﻿It is a gorgeous, uplifting chilren’s book that normalises learning difficulties and provides children with strategies for overcoming anxiety. Features a Child with Learning Difficulties- The girl in the book, Madeline, finds reading difficult as the ‘letters get mixed up’. Having a character in a book who struggles with reading normalises it- helping many children to realise they are not alone. Strategy for Dealing with Anxiety– Many children (and lets face it..adults!) find reading out loud daunting. 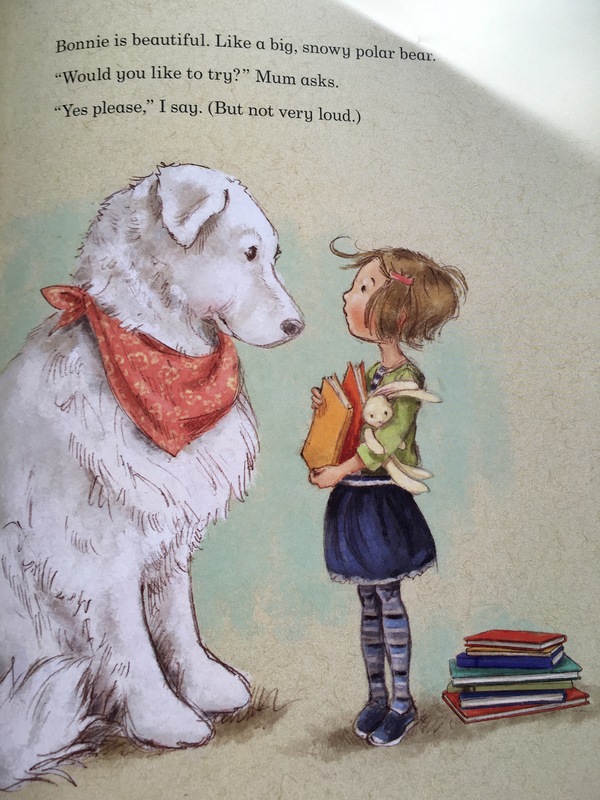 Madeline is taught to imagine she is just reading to Bonnie (a dog), who she feels comfortable reading to. A great strategy for other children to adopt. Promotes Animal Therapy- We loved that this book shows the benefits of animal therapy for dealing with anxiety. The publishers, Old Barn Books, donate 50p for every copy of this book sold in the UK to the Read2Dogs programme run by Pets as Therapy. Beautif﻿ul Illustrations– The illustrations are soft, calming and absolutely gorgeous. Perfectly complimenting the descriptive text.